Hiring the right talent is the first part of the equation – the second part is developing them and grooming your next generation of leaders. This also is one of the most important responsibilities of the current leadership. It doesn’t “just happen.” By using and leveraging the analytics, training, and coaching we offer, you are able to transform your organization into a positive, high-performance culture. PLI translates the many dimensions of human cognitive abilities to deliver an assessment designed to measure the capacity of a person’s learning capabilities. Pace of learning is strongly associated with successful on-the-job performance and is an integral part of any recruitment process. Match the needs of the job to cognitive ability to accelerate employee performance to maximum productivity. Proven, practical and reliable, the PLI is an integral tool helping you to make the best decisions for your company and the talent on your team. For organizations who want to provide an integrated, consistent leadership framework, Leadership Dynamics is proud to offer the Leadership Transition Program (LTP). This is not a workshop or class like you’ve ever experienced before. Developed around the principles introduced in “The Leadership Pipeline,” this 4-day course is designed to develop high-performing leaders by building objective work values, time applications and leadership skills. 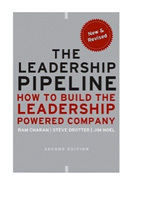 LTP is the original practical implementation of the strategies introduced in The Leadership Pipeline: How to Build the Leadership Powered Company. LTP was developed and solidly refined by author Jim Noel and A.P. Moller–Maersk. This program is based upon real work situations and is designed for leaders who need results. Hundreds of courses have been conducted around the world, implementing the framework to train, groom and retain leaders throughout the leadership pipeline. Each leadership level has a distinct position that calls for adjusted values and time applications combined with new skills. By defining what is expected of a leader at each level, LTP creates effective leaders who have clear objectives and the tools they need to succeed, at every stage of their career. High-performing teams are different; they have a clear focus, a high self-awareness, and leverage all assets. Communication, delegation, decision styles, etc. And, most importantly, how to adjust their own individual styles to improve work relationships and productivity. Few managers know how to effectively coach their employees to achieve higher levels of productivity, engagement, and retention. Compounded by all the generational differences, most managers are thoroughly confused. Given the direct impact to the bottom-line, it becomes imperative to build/enhance coaching capabilities of managers/supervisors. Coaching for Performance workshop training is inter-woven with real-life application; participants are asked to identify one or more of his/her employees to use as “coachees.” By utilizing the tools of the Predictive Index, this program addresses how to coach career, engagement, and performance; it also addresses counseling when poor performance and/or conflict issues need to be addressed. Conducted over the course of several weeks, participants learn and prepare, then meet with their coachees. Several rounds are done so that participants practice and build coaching capabilities that impact productivity, engagement and retention. For the first time in history, we have four generations in the workplace. Each generation is different—with experience, perspective and expectations. Leading multiple generations can be a challenge. This workshop analyzes the differences among the generations and how best to approach, communicate, drive performance, increase retention, employee satisfaction, and results. Stop wasting time and money with ineffective meetings; instead make them productive by facilitating them for results. Meeting Smart™ allows you to master meeting facilitation so that you run effective meetings and drive performance. With all the time spent in meetings, Meeting Smart™ can immediately produce high ROI. The ISAT provides the data on an individual, group, and company level giving a clear understanding and analysis of the strengths and gaps. Customer-Focused Selling™ builds the pragmatic skills to help your team increase its influence and results. Coupled with the ISAT, build influence skills in “selling” your ideas, strategies and capabilities with Influencing for High Impact. This workshop offers a proven method of building capabilities in assessing the needs of the other party, articulating your message in the best way to be heard, dealing with any concerns or resistance, and gaining agreement. The course is presented with a focus on applying a consultative process of “selling your ideas” to internal and external parties using your team’s real-life situations. If you know what to do, working with the media can be an excellent and effective way to get your message across and/or to promote your business, etc. If you don’t know what to do, it can be disastrous. 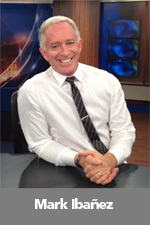 With professional coaching and practice, you can leverage media opportunities to your benefit and avoid media mishaps. Planning is not a linear process and can be quite messy at times. In general we begin with analyzing the current state, what is working, what is not. How do we keep, leverage, fix as appropriate. Then we conduct an environmental scan and possibly a competitor analysis; what are the trends, what are the pressures for change; how can we take advantage of the changes coming. Next we develop a stretch vision for the future. The strategies that connect the current to the future surface. Then sub-teams begin to build the specific action plans with attention to possible obstacles. In order to create transformative change, shared and broad ownership is needed. Consequently, the focus is on shared direction, implementation, and results. 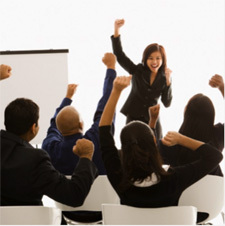 Each session is different and is customized to the needs of the team/organization. Take the mystery out of sales performance. The SSAT gives you the specific data you need to increase sales production and customer interaction skills of your whole team. The SSAT gives you an objective look at your people’s strengths, skills, and specific areas that need improvement. Providing detailed, accurate quantification of the selling abilities across your whole organization — vital information so that you can focus your initiatives for maximum impact and revenue growth. Utilizing the SSAT data, CFS is a consultative sales training/process that puts the needs of the customer first. It’s a solution-based approach, in which the sales person partners with the buyer to solve problems in an atmosphere of earned trust and two-way communication. 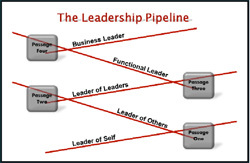 Used by many organizations to transform from traditional/adversarial to consultative/relationship selling. 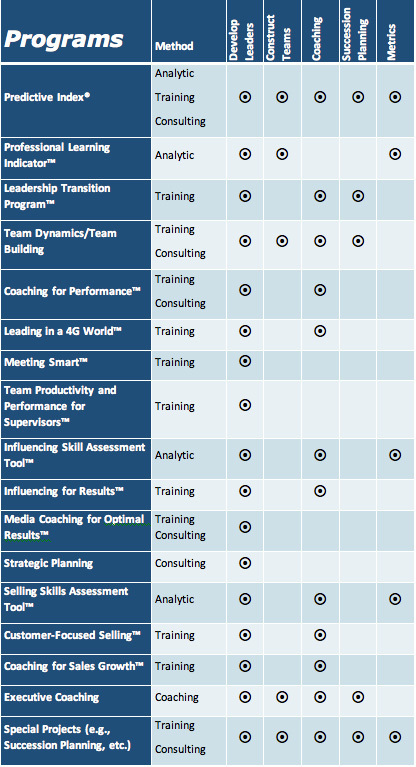 On a select basis, Leadership Dynamics provides executive coaching. Given the depth and breathe of knowledge and experience, the Leadership Dynamics team welcomes opportunities to develop, collaborate, and/or work on special assignments. For example, the team has led projects in succession planning, job competencies development, communication planning, etc.